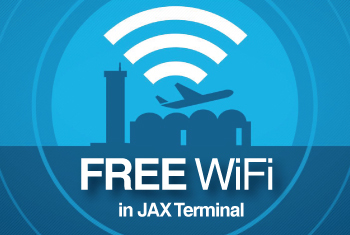 The Jacksonville Aviation Authority is proud to announcethat Jacksonville International Airport (JAX) placed second in the “BestAirport by Region: North America Category” in the Airports CouncilInternational (ACI) 2015 Airport Service Quality (ASQ) Awards. 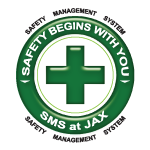 This prestigious accomplishment is a testament to thededication to service excellence JAX has shown throughout 2015. The AirportService Quality Awards are the industry’s most celebrated, and are given toorganizations that prove to be most outstanding in passenger satisfaction. “It's great to see our Jacksonville International Airportcontinue to achieve national recognition," said Mayor Lenny Curry. “Thislatest ranking is a testament to the outstanding customer service they provide,demonstrating our city's commitment to business and customer friendlypractices." The ASQ Survey is “the world’s benchmark of airportexcellence.” Last year the study consisted of 550,000 in-depth passengersurveys at over 300 airports spanning across more than 80 countries worldwide. The award ceremony will be held during the Gala Dinner ofthe 11th Annual ACI Asia-Pacific Regional Assembly, Conference and Exhibitionon Tuesday, April 19, 2016, in Gold Coast, Australia, where winners will showcasetheir accomplishments with the aviation community. As the competition thickens every year and airports continueto grow in customer service excellence, it is nothing short of an outstandingachievement for the Jacksonville Aviation Authority and the Jacksonvillecommunity as a whole.